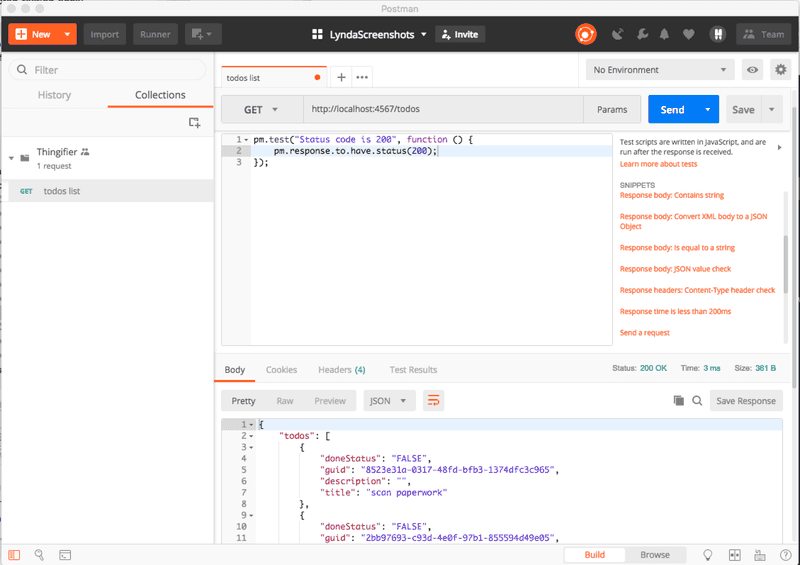 Let's take a quick look at how Postman snippets can help us get started with scripting assertions to support REST API Testing. And when I send the request, the code will run and the results will be shown in the Test Results tab. 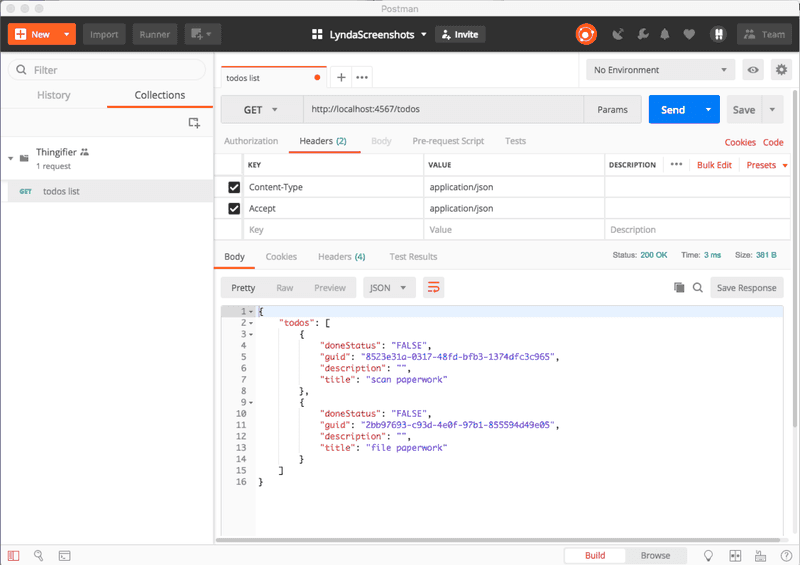 move toward more automated validation of your application by using the Postman runner. To create a set or requests which are automatically sent and the assertions reported on. I'll create a simple request to support this tutorial. This is hardcoded data in the application so it will always be there when the application first starts up. When I have the "Tests" tab selected. 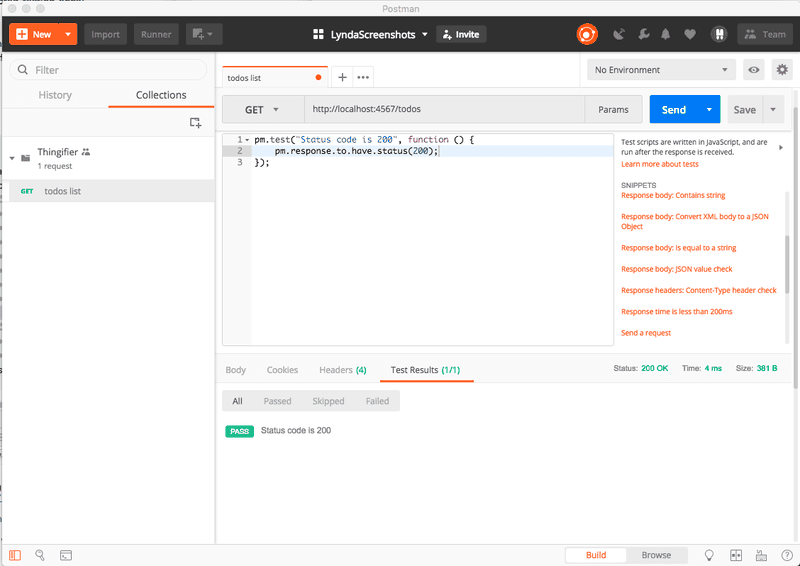 In the snippets, I can see "Status code: Code is 200", when I click on that Postman will add code into my test. I can add a basic content type header check without coding, by selecting "Response header: content-type header check" from snippets. But this doesn't assert on the value of the header so I can't check that it is "application/json" as we are expecting.